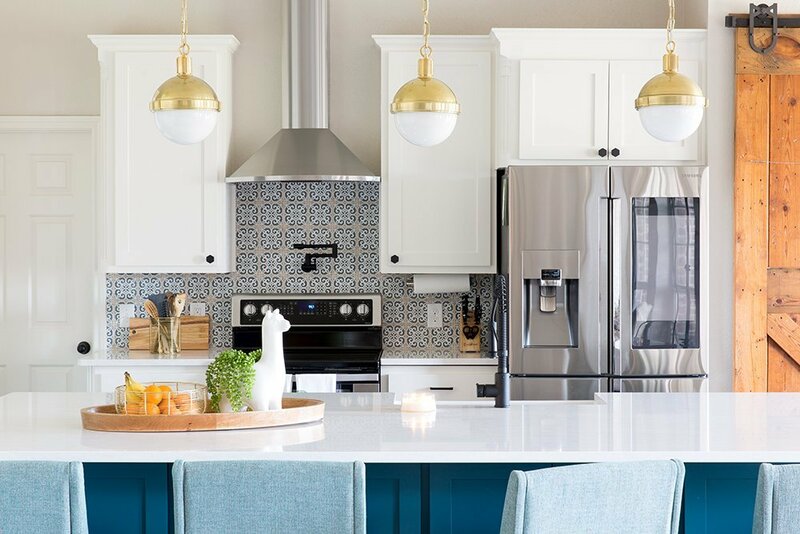 I looooove me a good project reveal! 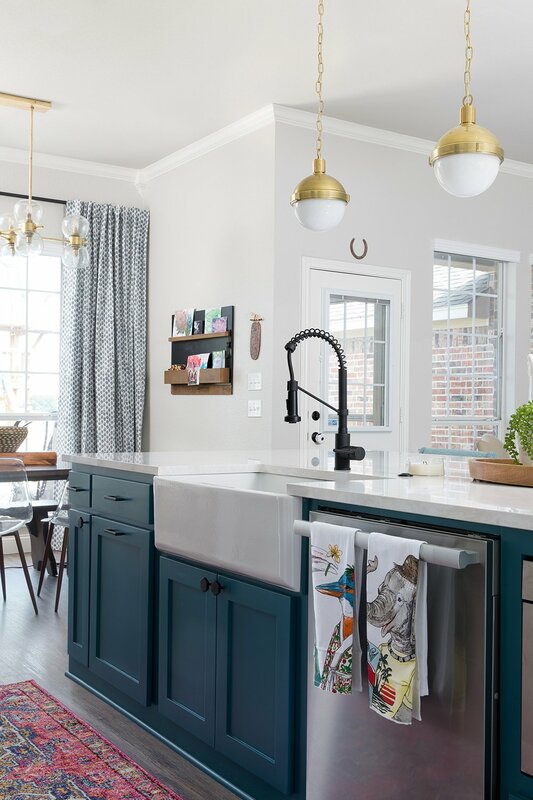 This Waco family-friendly kitchen remodel was such a blast to work on, and any time a client gives the go-ahead for a bright blue island you just KNOW the end result is going to be smashing. 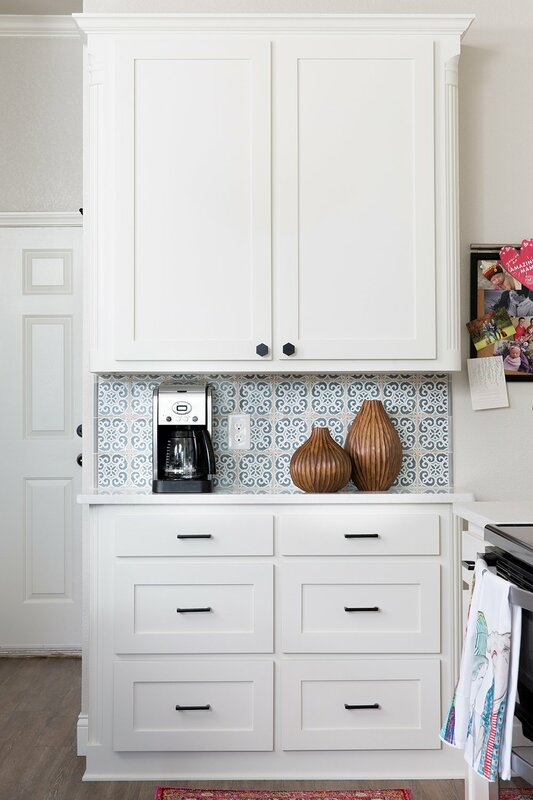 If you remember the “before” photos, my client was trapped in a generic wannabe-farmhouse kitchen with a faux shiplap wall. A sledgehammer took care of our little shiplap problem lickety-split, and the custom-designed massive 11′ long island became a much-deserved focal point. 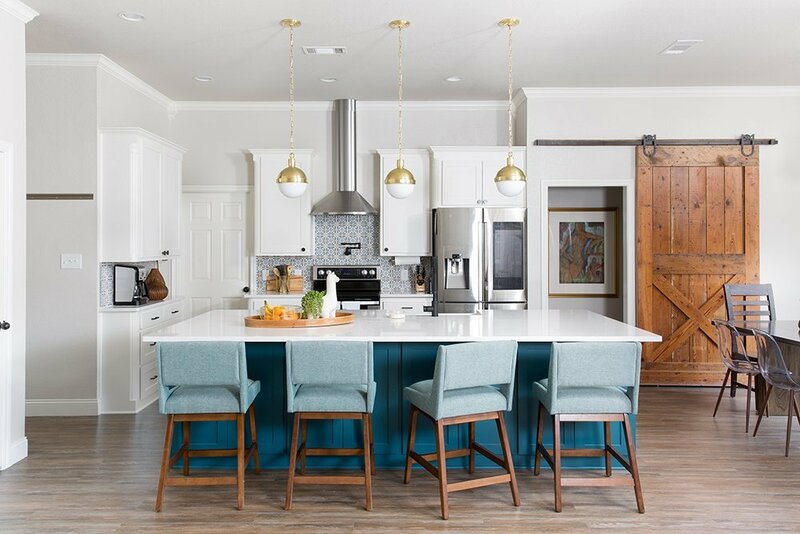 This sweet family has 3 kids under 3 and a large island to seat everyone comfortably was a must-have (as was a low-maintenance quartz countertop). 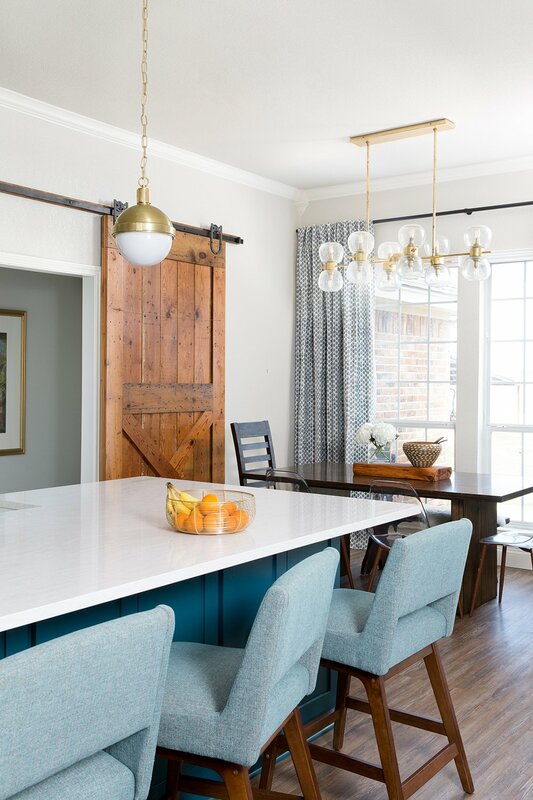 The large reclaimed barn door was already in the home, and I love it because warms up the otherwise cool palette in the kitchen. 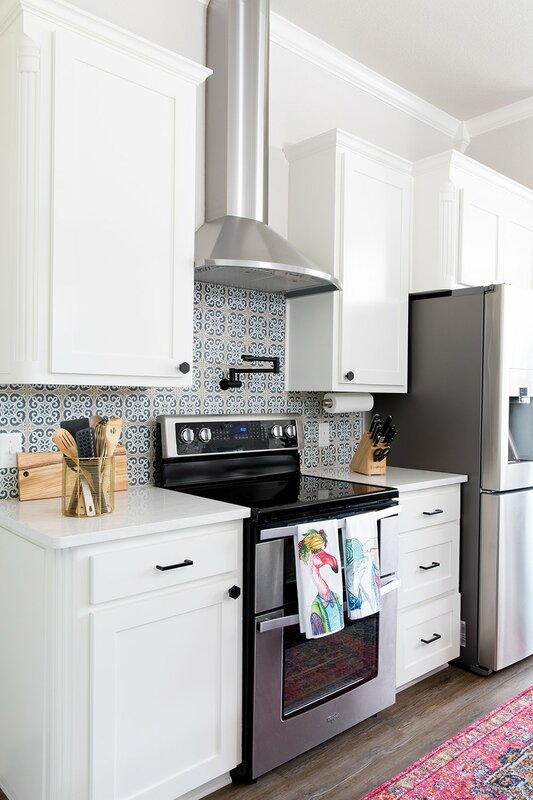 Without warm woods, a blue and white kitchen would feel pretty sterile. 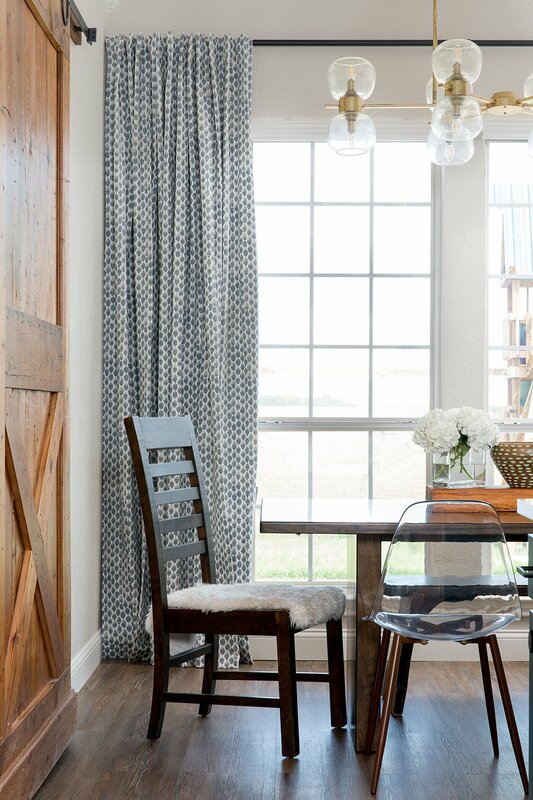 Brass + wood = instant warmth and contrast. You can never go wrong with tea towels that feature animals dressed like humans, right? 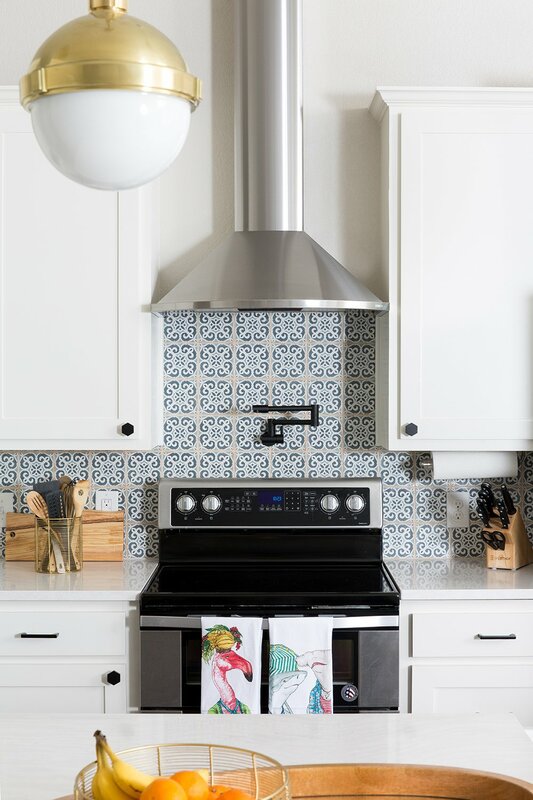 Even kitchens need a little quirk factor. 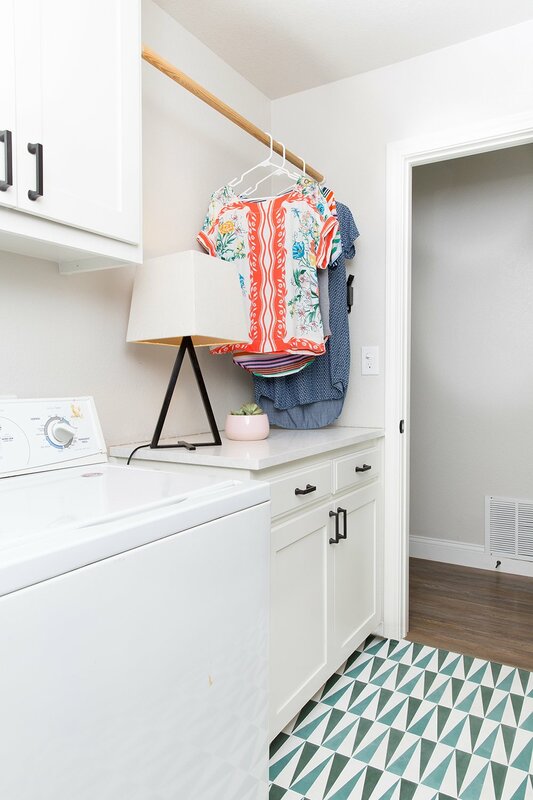 And just for fun, while we were busy smashing down shiplap and busting up bad tile floors we did a little makeover of the laundry room and master closet too. 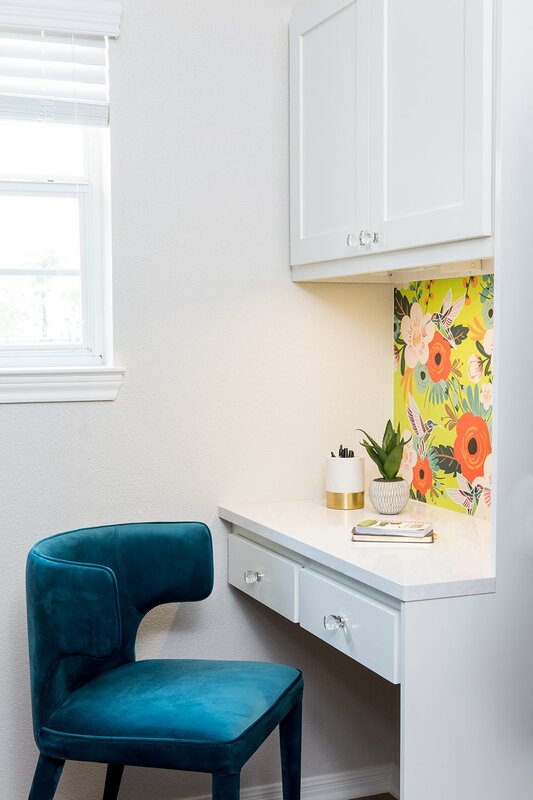 The ho-hum laundry room got jazzed up with graphic concrete tiles and a fresh quartz countertop, and we designed a pretty little office nook in the master closet to create a much-needed private home workspace for mama. 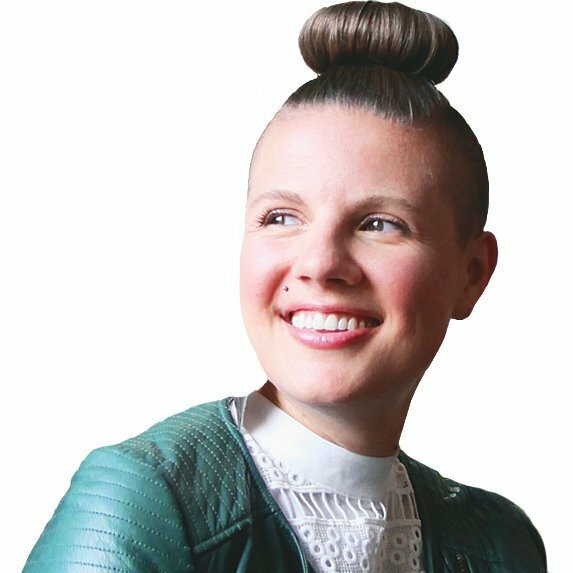 ← Do You Need Performance Fabric for a Sofa?